The Edgerton Center for the Performing Arts at Sacred Heart University offers a wide array of performing arts attractions throughout the year in its newly renovated and air-conditioned 776-seat auditorium. The Center is also available for rentals and community events. Hours: M-F from 12:00-4pm and 2 hours prior to all shows that require ticket sales. 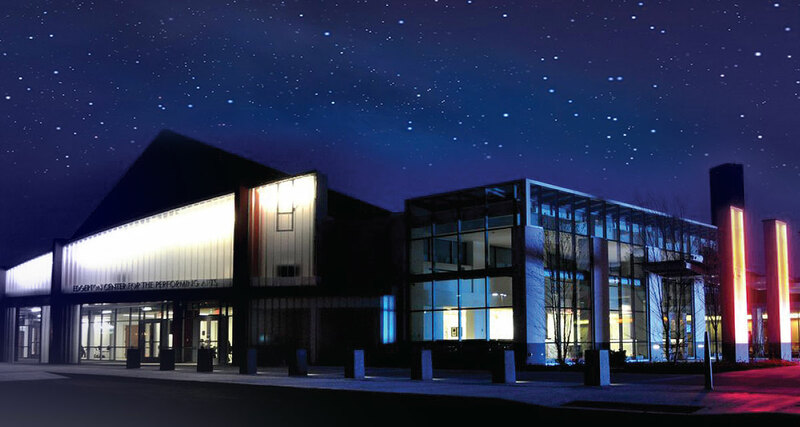 ACCESSIBILITY: The Edgerton Center for the Performing Arts is fully accessible with a number of locations available that can accommodate those in wheelchairs or patrons needing handicap seating. If you are in need of special assistance, handicapped or wheelchair seating please notify the Box Office when purchasing your ticket. LATE ARRIVALS Patrons arriving late will be seated at the discretion of the management. RECORDING/ELECTRONIC EQUIPMENT: Cameras (including digital), video cameras, recording devices are not permitted in the theatre. Cell phones and pagers should either be turned OFF or set to SILENT mode. FOOD and BEVERAGES: No food or beverages are allowed inside the theatre. NO SMOKING: The Edgerton Center for the Performing Arts is a smoke-free environment. No smoking is allowed in the building. LOST and FOUND: Any items found on the premises can be claimed at the Box Office. PARKING: Free parking is available. Please arrive at least 30 minutes prior to curtain time for best parking options.